Running a profitable small business is notoriously difficult. But the clients of a tax preparation service run by a husband and wife, Gladstone and Jacqueline Morrison, brought business failure to a new level. Year in and year out, the vast majority of the clients submitted tax returns showing sizable business losses. A federal jury provided the following explanation for this seeming anomaly of unlucky clients: the Morrisons helped their clients prepare returns with fake business losses so the clients could obtain refunds rather than pay the taxes they owed. That was not the only fraud the jury found. Once they became aware of an IRS investigation into their business, the Morrisons attempted to rid themselves of the problem by selling the business on multiple occasions. Not only did those sales not insulate the Morrisons from tax fraud charges, but they resulted in additional charges of wire fraud because the Morrisons made numerous misrepresentations in connection with these deals, including falsely stating that the business was not the subject of any ongoing investigation. The Morrisons appeal their convictions for conspiring to submit fraudulent tax returns, aiding and abetting the filing of numerous false returns, and wire fraud in connection with the attempted sales of the business. They both challenge the sufficiency of the evidence. They also raise, among other arguments, separate challenges to the district court's conduct during the trial. Jacqueline contends that the district court impermissibly limited her testimony. Gladstone contends that the district court assisted the prosecution. Finding no reversible error, we affirm. Actually, the opening is not as precise as it should be. I have bold-face the part that is in error. The defendants were not convicted of aiding and abetting (a concept under 18 USC § 2(a)) but rather aiding and assisting in the preparation of false returns (a substantive crime under § 7206(2)). The distinction is important, as I explain below. Later in the opinion the Court of Appeals panel indicates that it does understand the distinction between aiding and abetting under 18 USC § 2(a) and aiding and assisting under § 7206(2), but, erroneously, I think, says that § 7206(2) is an aiding and abetting statute. This permits, erroneously I think, the Court of Appeals panel to state at one point aiding and abetting is not involved (see fn. 1 below), but then move back and forth between the aiding and assisting concept and the aiding and abetting concept. Here is the Court's analysis, with my bold-face to draw the readers' attention. That statute incorporates aiding and abetting liability by making one guilty who "[w]illfully aids or assists" in the filing of false returns. 26 U.S.C. § 7206(2); United States v. Searan, 259 F.3d 434, 443-44 (6th Cir. 2001) ("The recognition that the first element of a § 7206(2) charge effectively incorporates 'aiding and abetting' complicity liability means that charging a defendant with 'aiding and abetting,' under 18 U.S.C. § 2, the 'aid[ing], assist[ing], procur[ing] . . .' of false tax returns, under 26 U.S.C. § 7206(2) is a redundancy."). n1 Section 7206(2) thus "relies on a theory of liability akin to complicity: it criminalizes an act that facilitates another person's crime when the act is undertaken willfully and with knowledge of the circumstances that make the other person's act illegal." Clark, 577 F.3d at 285 (quoting Searan, 259 F.3d at 443). n1 The indictment in this case takes that unnecessary step of also charging the separate aiding and abetting statute under 18 U.S.C. § 2. But such a requirement is inconsistent with our precedential case law construing section 7206(2) and that of other circuits, as well as general aiding and abetting principles. To be convicted under an aiding and abetting theory, the defendant must "share in the principal's criminal intent" and take some affirmative steps "to aid the venture or assist the perpetrator of the crime." United States v. Garcia, 242 F.3d 593, 596 (5th Cir. 2001) (examining sufficiency of aiding and abetting evidence in drug case). He "must have aided and abetted each material element of the alleged offense[s]." United States v. Lombardi, 138 F.3d 559, 561 (5th Cir. 1998) (examining sufficiency of evidence of aiding and abetting the use of a minor in a drug offense conviction). Relying on these principles in the context of the false tax return statute, the Sixth Circuit rejected an argument like Gladstone's when a son argued that his mother prepared and signed most of the returns in question. Searan, 259 F.3d at 445. Using evidence adduced to support the overarching conspiracy conviction, the court upheld guilty verdicts on the substantive counts based on evidence that the the son actively participated in the criminal acts by assuring victims of his mother's competency, prepared certain fraudulent returns himself, held himself out to be a partner in the business, and split profits. Id. ; see Nye & Nissen v. United States, 336 U.S. 613, 619, 69 S. Ct. 766, 93 L. Ed. 919 (1949) (explaining that the "fact that some of th[is] evidence" supporting aiding and abetting liability "may have served double duty by also supporting the charge of conspiracy is of course immaterial"). Like Searan, a case we have relied on before in interpreting this statute, see Clark, 577 F.3d at 285 (quoting Searan, 259 F.3d at 443), much of the evidence underpinning Gladstone's conspiracy convictions supports his guilt on the substantive counts as an aider and abettor. n2 As previously recounted, Gladstone co-owned the business with Jacqueline, was the Chief Operating Officer, and oversaw the entire operation. He prepared the false returns for Stefanie Brown, (the subject of counts 13 and 14) that suffered from the same fraudulently-inflated Schedule C losses as those that Jacqueline prepared (counts 3-12). Gladstone also created false tax returns for himself and Jacqueline which grossly underreported their taxable income. Recognizing that Gladstone's connection to counts 3 through 12 is less direct than what we have seen in other section 7206(2) cases, we nonetheless conclude that his active involvement in, and knowledge of, the scheme were sufficient evidence from which a jury could find that he knowingly assisted in the submission of these false returns. Clark, 577 F.3d at 286.
n2 That is not to say that a defendant guilty of conspiring to commit an offense is necessarily guilty of aiding and abetting all substantive offenses committed during the course of the conspiracy. See Lombardi, 138 F.3d at 561-62 (noting that the government "seem[ed] to be confusing aiding and abetting with conspiracy" and rejecting argument that evidence proving drug conspiracy was sufficient to prove aiding and abetting of the use of a minor in a drug offense). Lombardi notes one difference is that aiding and abetting liability requires that the defendant take some "action to make the venture succeed." Id. at 562. Conspiracy requires only an agreement, and sometimes (as with the general section 371 conspiracy statute) an overt act aimed at making the venturing succeed. But the defendant need not commit that act, an act by any conspirator suffices. Of course, a conspiracy conviction can also result in Pinkerton liability for foreseeable substantive offenses committed in the course of the conspiracy. But when a jury is not instructed on Pinkerton liability as was the case here, it is not a basis for liability. See United States v. Polk, 56 F.3d 613, 619 n.4 (5th Cir. 1995). 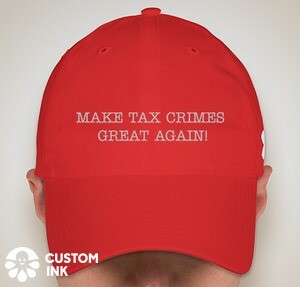 I will not dig too deeply into the aiding and abetting statute because I have done that, perhaps at too great length, John A. Townsend, Theories of Criminal Liability for Tax Evasion (May 15, 2012), available at SSRN, here. I will simply say that the key concept of aiding and abetting is to make someone a principal in a substantive crime, defined elsewhere in the criminal statutes, committed by another person. Aiding and assisting under § 7206(2) does not require some other guilty principal, but rather makes the person who does the aiding and assisting in the preparation of a false return guilty without any need for aiding and abetting liability. Aiding and assisting is the direct substantive crime in no need of a helper notion such as aiding and abetting. This is a picky point, but I think it could be quite important as I develop in the cited article. Where it comes up sometimes with potential outcome determinative effect is in charging instructions where the prosecutors tag on aiding and abetting and causer liability under 18 USC § 2 when the conduct alleges makes the defendant guilty of the underlying substantive crime. Judge Pauley, SDNY, deconstructed this problem quite nicely in the first Daugerdas Trial. See my discussion of this event in Even More on Principals, Accomplices, Causers and Pinkerton Conspirators - the Daugerdas Case (Federal Tax Crimes Blog 5/10/11), here. Basically, for some crimes such as § 7201 as in Daugerdas (but also § 7206(2)), larding on the aiding and abetting and causer deemed principal status in 18 USC § 2(a) which does not require a guilty taxpayer and permits direct criminal liability of a person other than the taxpayer, adding on these concepts is confusing to a jury and could permit a wrong general verdict of guilty. (I wonder whether the prosecution obtained a separate aiding and abetting instruction in Morrison.) And this could be particularly troublesome if Pinkerton liability is thrown into the mix to see if it would stick with the jury. The federal district judge who brought the case, John H. McBryde of Forth Worth, had been fighting the federal judicial discipline system since the mid-1990's, when a committee of fellow judges began investigating complaints against him. In 1997, the Judicial Council of the Fifth Judicial Circuit reprimanded him and suspended him from hearing new cases for a year for a pattern of ''intemperate, abusive and intimidating'' treatment of lawyers and other judges. While he ''was punished because of judicial actions that accorded with his strict style of courtroom management offended or intimidated attorneys or crimped their courtroom styles,'' Judge McBryde's lawyers wrote, another judge might be punished for ''patterns'' of rulings for or against defendants or the government, no matter how sincere the rulings. Jacqueline challenges the time limit the district court imposed on her testimony. Apparently dissatisfied at the pace of trial, halfway through the government's case-in-chief, the court began imposing time limits. It did so by going through the witness lists and asking the propounding attorney how long the direct exam would take for each. The court then imposed a limit for direct exam based on the attorney estimate and gave the opposing side the same time for cross examination. The district court enforced those limits during examination for both the government and defense with comments like, "you're about out of time." The court was more flexible when it came to Jacqueline's testimony, which began at the end of the second day of trial. It did not impose a time limit at the outset. After 40 minutes, the district court asked how much longer defense counsel needed to finish questioning. Counsel responded, "maybe 45 minutes," and the court adjourned for the night. The following day, after further direct examination, the district court told defense counsel, "you've been at it about 50 minutes today. I think yesterday you indicated it would probably be another 45 minutes at some point in time. Are you almost through?" Defense counsel responded—"I was grossly mistaken in my estimate of the time it would take. I apologize, Your Honor. I just didn't know." The district court then instructed counsel to "focus on the real issues" and that he was limiting counsel to "15 minutes to finish," but counsel stated that he could not finish in that time. The judge then inquired again how long counsel thought it would take to complete questioning and counsel responded, "I don't want to say and then be wrong again. I don't know." In response, the district court said, "Well, then I don't know any way to do it but give you a time limit. I'll give you 20 minutes, and that's the answer. So you need to focus on what you're doing and what's important." Defense counsel resumed questioning. After the additional 20 minutes, the district court told counsel his time had expired, and direct examination ended. At this point, defense counsel moved for a mistrial and asked to make an offer of proof at the end of the case, but the district court denied that request and instead asked for a contemporaneous offer of proof. Defense counsel declined, stating it would be impossible to do so. The district court denied the motion for mistrial. Almost two weeks after trial, Jacqueline made a "supplemental offer of proof." Imposing time limits during trial is a growing trend among district courts. In an age of vanishing jury trials, a development that likely results at least in part from the increased length and cost of trials, time limits are one tool that courts have to make trials more efficient and juror friendly. See Jury Innovations Project: An Effort to Enhance Jury Trials in Texas State and Federal Courts, at 16-17, 75-78 (suggesting new procedures for civil trials, including time limits, that increase juror comprehension) http://www.txs.uscourts.gov/sites/txs/files/PilotProgramManual.pdf . We have thus approved their use, so long as the limits are reasonable, even in criminal cases where limits are more controversial. n3 United States v. Colomb, 419 F.3d 292, 299 (5th Cir. 2005) ("[A] district court may impose reasonable time limits on the presentation of evidence and the examination of witnesses. "); United States v. Gray, 105 F.3d 956, 963-65 (5th Cir. 1997) (noting that a district court judge has broad discretion in managing his docket including "imposition of time limits on counsel"). Other circuits take a similar approach. See United States v. Spangler, 638 F. App'x 611, 613 (9th Cir. 2016) (finding time limit on defense counsel's cross examination of a witness does not violate Confrontation Clause unless it "limits relevant testimony and prejudices the defendant, and denies the jury sufficient information to appraise the biases and motivations of the witness"); United States v. Vest, 116 F.3d 1179, 1187 (7th Cir. 1997) ("The District Court's time limits were reasonably anchored to the defendant's own requests for time and to the amount of time the Government used on direct" and "[t]he district court's willingness to bend the time limits shows flexibility . . . ."). If anything, it seems that time limits in criminal cases will generally pose more of a challenge for the prosecution as it typically presents far more of the evidence given that it has the burden of proof. n3 The authority to set limits stems from a district court's authority to oversee the presentation of evidence. Fed. R. Evid. 611(a); see Sims v. ANR Freight Sys., Inc., 77 F.3d 846, 849 (5th Cir. 1996); United States v. Gray, 105 F.3d 956, 964-65 (5th Cir. 1997) (Reasonable limits on questioning "based on concerns about . . . harassment, prejudice, confusion of the issues, the witness' safety, or interrogation that is repetitive or only marginally relevant" are permissible.). n4 The constitutional right to testify in one's own defense, which was not expressly recognized by the Supreme Court until 1987 in Rock, (see Nix v. Whiteside, 475 U.S. 157, 164, 106 S. Ct. 988, 89 L. Ed. 2d 123 (1986) (noting that the Court had never "explicitly" recognized such a constitutional right and explaining that through much of the 1800s many states followed the common law rule that prohibited defendants from testifying)), is of much more recent vintage than the confrontation right, which has its basis in the direct command of the Sixth Amendment. n5 One way for district courts to limit this issue is to set overall time limits for each side at the outset of trial, after receiving recommendations from counsel. See Jury Innovations Project 16-17. That provides more flexibility to counsel in the event the testimony of some witnesses goes longer than expected and others go shorter or end up not testifying at all. Time for the defendant's own testimony would also then just be part of the overall time allotted for the case. We need not decide that question here because defense counsel did not make an offer of proof sufficient to preserve the objection to the exclusion of testimony. The offer of proof required by [Federal Rule of Evidence] 103(a)(2) is meant to give the trial judge contemporaneous knowledge about the proposed evidence . . . at the time it is offered. Presentation of an offer after the trial or on appeal does not help the trial judge, and is too late. United States v. Wen Chyu Liu, 716 F.3d 159, 170-71 (5th Cir. 2013) (quoting 1 Jack B. Weinstein & Margaret A. Berger, Weinstein's Federal Evidence § 103.20(4) (emphasis in original)); see also United States v. Winkle, 587 F.2d 705, 710 (5th Cir. 1979) (citations omitted) ("[T]his circuit will not even consider the propriety of the decision to exclude the evidence at issue, if no offer of proof was made at trial."). The failure to offer any information about what questions counsel still needed to ask Jacqueline when the court ended the direct examination matters for multiple reasons. First, such an offer of proof would have allowed the district court to reconsider its ruling if counsel indicated he had to elicit testimony about topics that had not already been covered. Indeed, the court had already shown a willingness to be flexible by allowing 25 more minutes of testimony beyond defense counsel's original estimate, resulting in a total 110 minutes of testimony. Second, the lack of a contemporaneous offer of proof limits our ability on appellate review to determine whether the exclusion was harmful. Wen Chyu Liu, 716 F.3d at 171 (refusing to consider offer of proof made in motion for new trial and limiting review to the trial record to determine whether exclusion of expert witness was error). And an offer of proof submitted two weeks after trial, by which time counsel no doubt has engaged in quite a bit of Monday-morning quarterbacking, does not provide what an offer of proof is supposed to: an alternative view of what the trial would have looked like if the court had ruled differently. See Winkle, 587 F.2d at 710.
n6 Similarly we do not find error in the limitation of Steve Maclaren's testimony. The district court asked Jacqueline's counsel how long he needed examine Maclaren. Counsel estimated ten minutes, and the district court held counsel to his self-estimated time limit; Jacqueline's counsel did not object to this limit at trial. Such limitation is not plain error under these circumstances. See Gray, 105 F.3d at 964. Gladstone challenges different conduct of the trial judge. After the government presented two witnesses to show that the wire transfer from Express Tax to the Morrisons crossed state lines, the judge told the prosecutor the following outside the presence of the jury: "I don't think you have the evidence of what bank made the transfer . . . in other words to get interstate commerce." Despite responding that he had shown the origin of the transfer (Kansas City), on rebuttal the prosecutor recalled one of the witnesses to clarify that point. Gladstone contends that this exchange about the interstate wire element shows that the judge stepped into the shoes of the prosecutor. Because he did not raise an objection at trial, our review is for plain error. United States v. Bourgeois, 423 F.3d 501, 506 (5th Cir. 2005). We only have discretion to correct any error if Gladstone shows that the [*31] error is obvious, affected his substantial rights, and seriously affected the fairness and integrity of the district court proceedings. Id. As we have already pointed out in discussing the use of time limits,a trial judge "has broad discretion in managing his docket, including trial procedure and the conduct of trial." Gray, 105 F.3d at 964 (quoting Sims v. ANR Freight System, Inc., 77 F.3d 846, 849 (5th Cir.1996)). "This discretion extends to commenting on the evidence, questioning witnesses to clarify facts or even elicit facts not yet presented, and moving along the trial by means of interruptions . . . ." Id. A due process violation occurs "only if the judge so favors the prosecution that he appears to predispose the jury toward a finding of guilt or to take over the prosecutorial role." Derden v. McNeel, 978 F.2d 1453, 1459 (5th Cir. 1992) (citations omitted). The concern about giving the jury the impression that the judge has an opinion as to guilt or innocence is not present here because the comments were made outside the presence of the jury. In another sense, however, that context of the judge's comments make them look, even if inadvertently made, more like advice to a party on weaknesses in its case as opposed to an attempt to clarify testimony that may be confusing to the jury. Cf. United States v. Allen, 136 F.3d 137, 1998 WL 30039, at *1 (5th Cir. 1998) (per curiam) (citations omitted) (finding no error when the district court's actions were out of "concern for the relevancy of the evidence solicited, preservation of the jury's role as fact finder, and an antipathy to wasted trial time"); United States v. Bermea, 30 F.3d 1539, 1571 (5th Cir. 1994) (holding that active judicial questioning was not an abuse of discretion). Given the unusual nature of this suggestion that the government provide additional evidence on a particular issue, it is not surprising that we are unable to find an analogous case in this circuit. n10 Even assuming error, however, Gladstone has not convinced us that comment prejudiced him. The wire that was the subject of the judge's comments related only to count 15. Prior to the judicial intervention, an H&R Block representative testified that the Express Tax payment to the Morrisons originated from a bank located in Kansas City. A subsequent witness from the bank may have created the confusion the judge referenced; she testified that although the wire documentation showed that it was received in Fort Worth, it only showed that it was sent by Wachovia Bank without listing a location (though it does list the holder of the sending account as being located in Kansas City). In recalling the H&R Block representative—the only consequence the jury saw of the judge's comment—the government essentially reiterated testimony that had already been given. This is not enough for Gladstone to prove an effect on his substantial rights. n10 United States v. Karnes, 531 F.2d 214 (4th Cir. 1976), addressed a far more egregious example of a judge's helping the government prove its case. In Karnes, the judge called two witnesses that the government had declined to present because it could not "vouch for their candor;" these witnesses were so crucial that the government had "no case" without them. Id. at 216. Although noting that judges have discretion to call witnesses, the court found a due process violation because a court's "impartiality is destroyed when the court assumes the role of prosecutor and undertakes to produce evidence, essential to overcome the defendant's presumption of innocence, which the government has declined to present." Id. at 216-17.